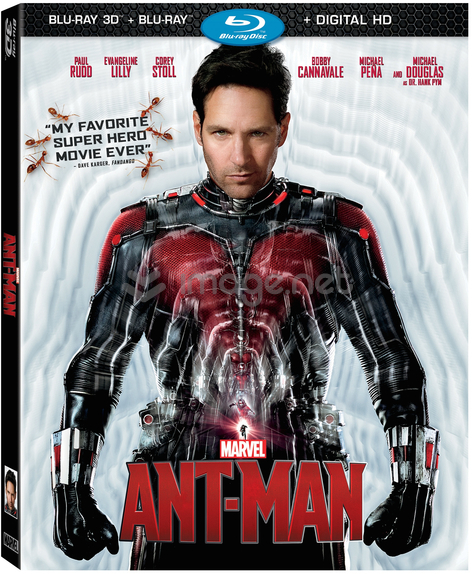 Ant-Man Will Arrive on Blu-ray and DVD on December 8th! 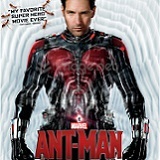 The next evolution of the Marvel Cinematic Universe introduces the newest member of the Avengers: Marvel’s Ant-Man. Armed with the amazing ability to shrink in scale but increase in strength, master thief Scott Lang joins forces with his new mentor Dr. Hank Pym to protect the secret behind his spectacular Ant-Man suit from ruthless villains! With humanity’s fate in the balance, Pym and Lang must plan and pull off a daring heist against insurmountable odds. Filled with humor, awesome special effects and exclusive bonus features, this action-packed adventure takes you to new levels of pulse-pounding excitement! Making Of An Ant-Sized Heist: A How-To Guide – Set your watch and count down the action in this fast-paced behind-the-scenes look at how to pull off a heist movie, including Scott Lang’s hilarious heist “family,” Ant-Man’s costume, plus amazing stunts and effects. Let’s Go To The Macroverse – Shrink down to size in this fascinating look at creating the world from Ant- Man’s perspective, from macro photography through the subatomic. WHIH NewsFront – A hard-hitting collection of content, including a glimpse at the future of Pym Technologies with Darren Cross, anchor Christine Everhart’s interview with soon-to-be-released prisoner Scott Lang on his notorious VistaCorp heist, and more.